This featured article is by the famous luxury travelling mom blogger, Claudia @ Zeebalife. 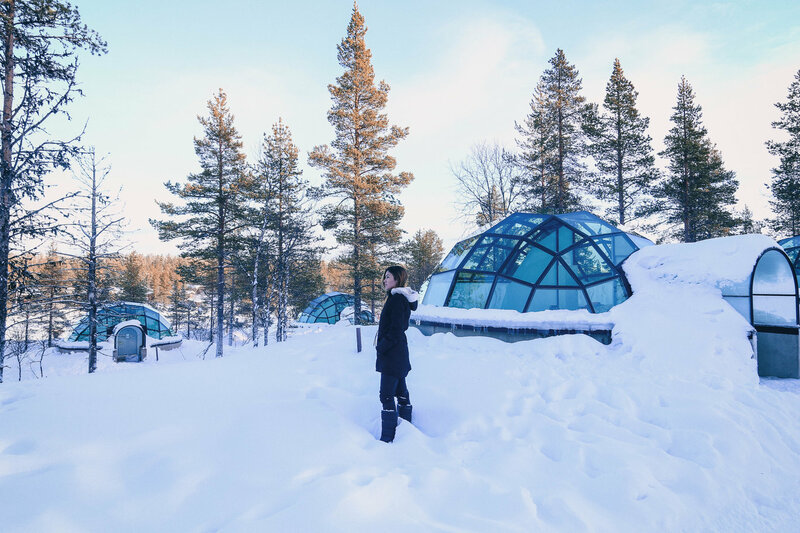 She recently visited Kakslauttanen Artic Resort & posted this fabulous article which will help you decide if visiting Kakslauttanen Artic Resort is worth the hype. For more travel, life, family oriented posts, visit http://zeebalife.com . All rights reserved by the original writer. 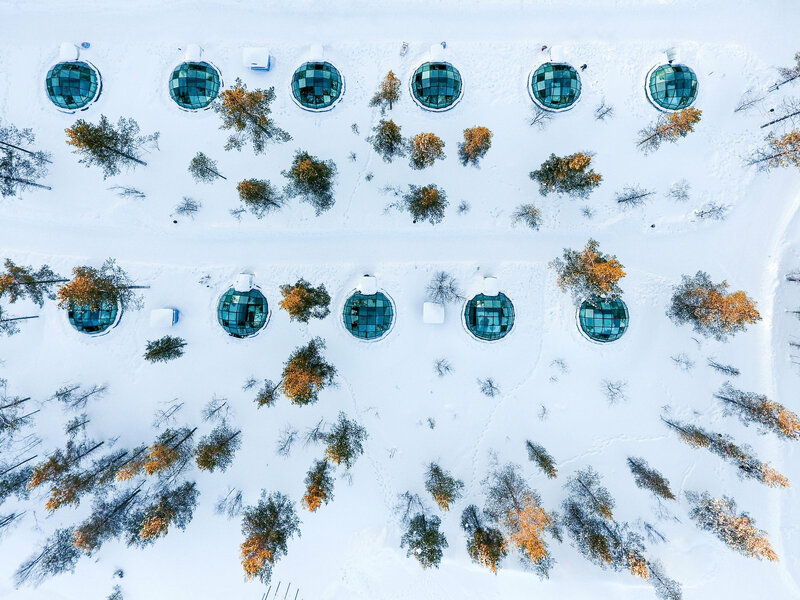 Can you imagine being cuddled up in bed with your loved one star gazing into the pure and virgin Arctic sky while patiently waiting for your eyes to witness the majesty of the Northern Lights dancing right above you, all from the comfort of your glass igloo? The burning desire that we had to experience this lead us to embark on a family journey to Lapland, Finland. 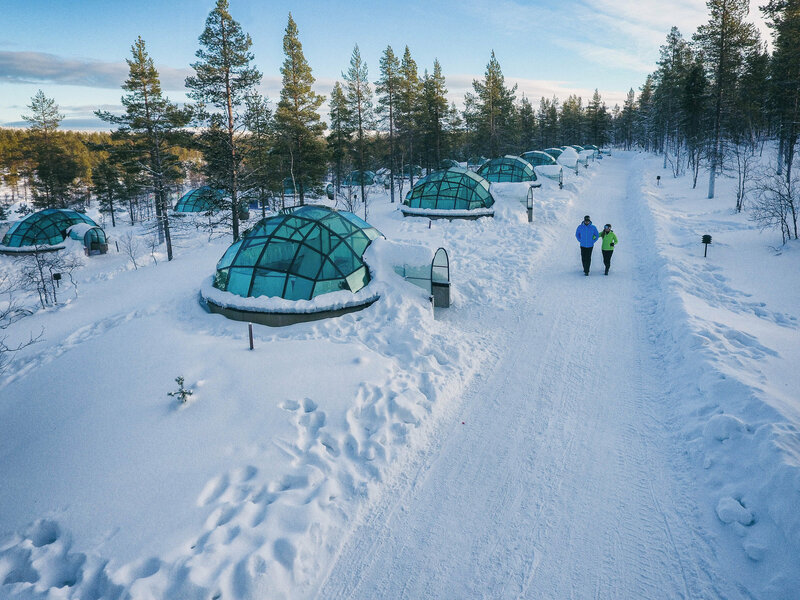 Visiting Finland, especially staying in the infamous and world re known glass igloos in Kakslauttanen Arctic Resort, has always been a dream of mine, one of those long and far dreams that you have but never really think they will happen. 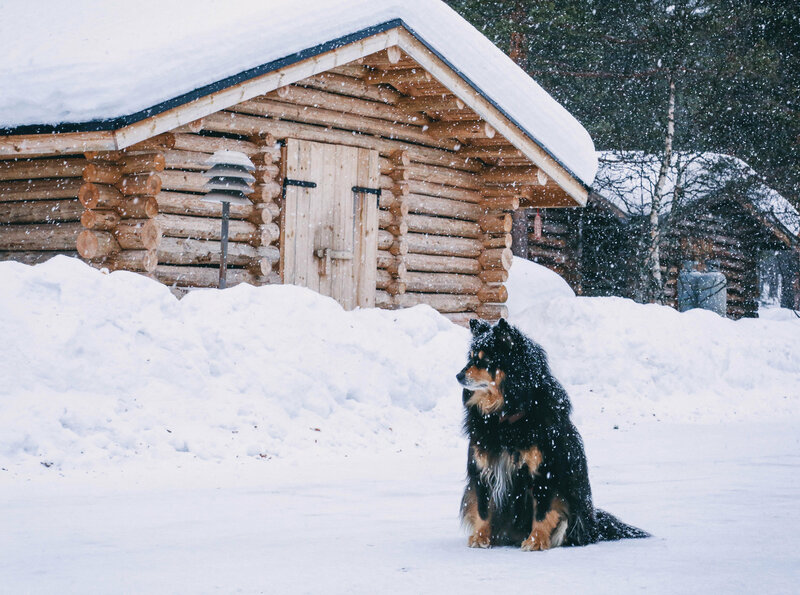 Equipped with a luggage full of winter layers and extreme weather clothing, our little family of three made the journey from the Sunshine State to the Finnish Arctic Circle. From Helsinki we flew to Ivalo (the main airport in Lapland), and drove 30 min to the property where we checked into our 2 bedroom log cabin where we spent our first two nights. Lucky for us we had a rent a car so we drove (5min) to our cabin. 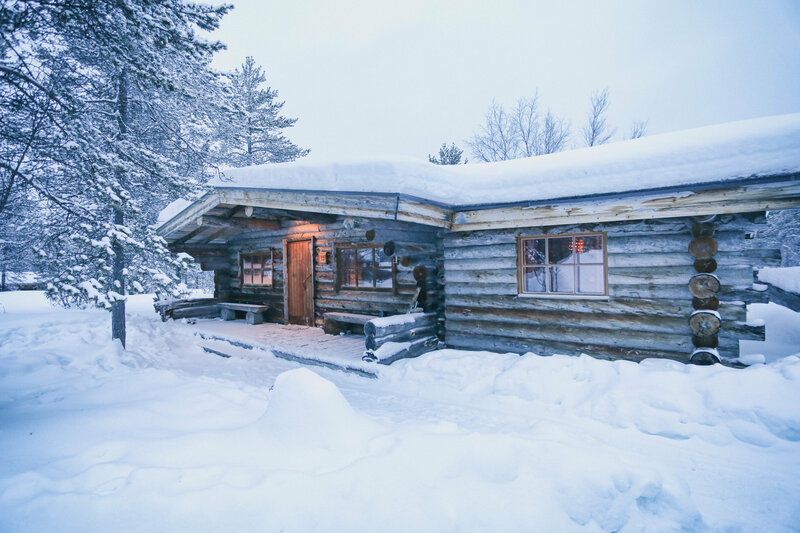 The cabin that we stayed in was very warm, cozy, nicely designed and spacious completely surrounded by snow and trees. 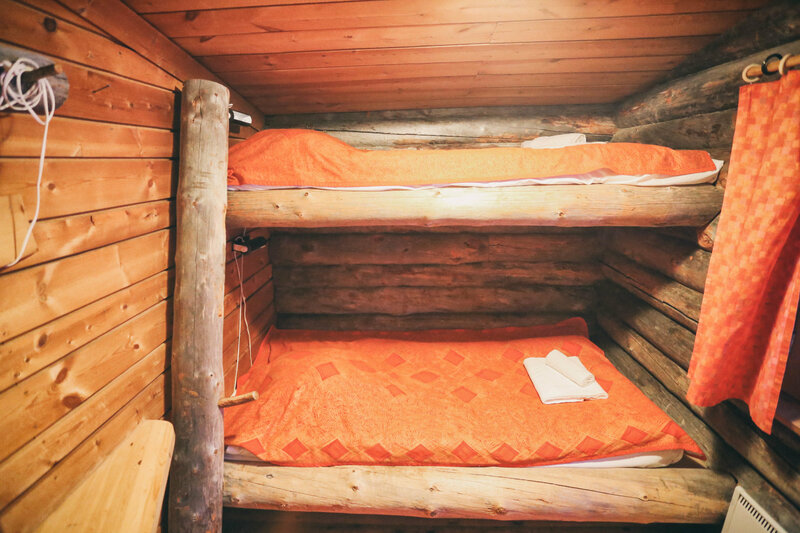 With two small bathrooms, two bedrooms (one with bunkbeds), a small kitchen equipped with some of the basic necessary items. 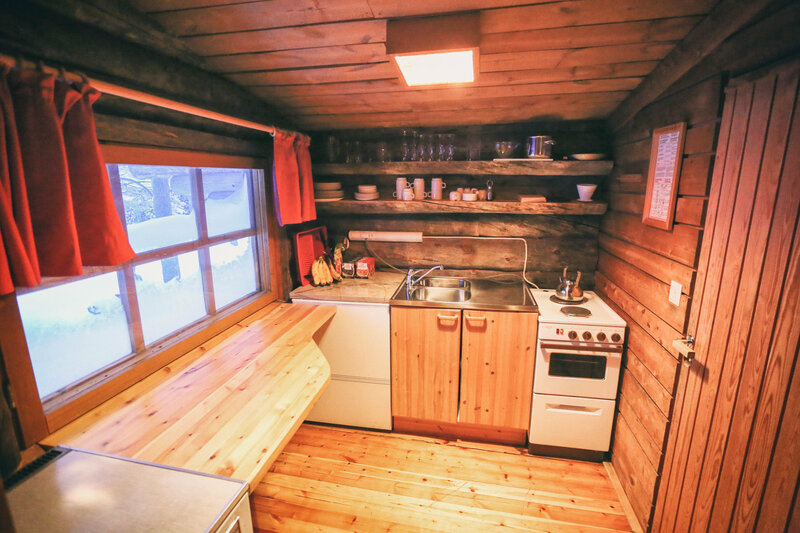 This includes a kettle, a pot, a few plates etc, a small private sauna, a spacious living area, and your private parking right by your door, the cabin was more than we expected. One of the biggest disadvantages, however, is that there is no internet in the rooms what so ever. In fact, the rooms are completely disconnected, not even offering a phone. And you guessed it , no TV either so make sure to bring a couple of good books or family table games. Having a sauna in the room sounded great but we learnt that if we turn the sauna on, the heater of all the cabin goes off. Due to this reason we were not able to use it because if we used it at night while the little one was sleeping, the heater would not work and it would get very very cold in his room. 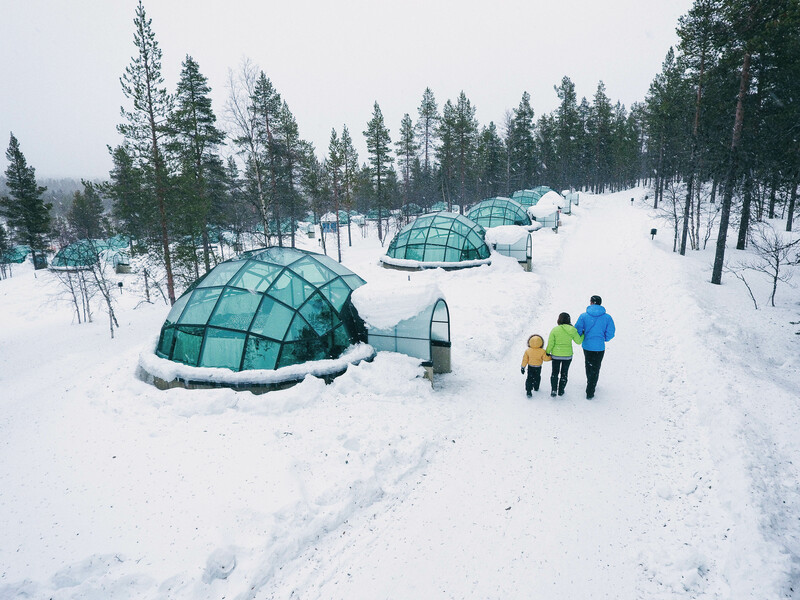 We spent our last night in the glass igloo which we were super excited for. No amount of pictures can prepare you for this experience, in a good way and in a bad way. The igloos are much nicer and cuter in person, and boy they make for great pictures! The exterior design and concept is no doubt very beautiful but its not very efficient so we are glad we only spent one night there. 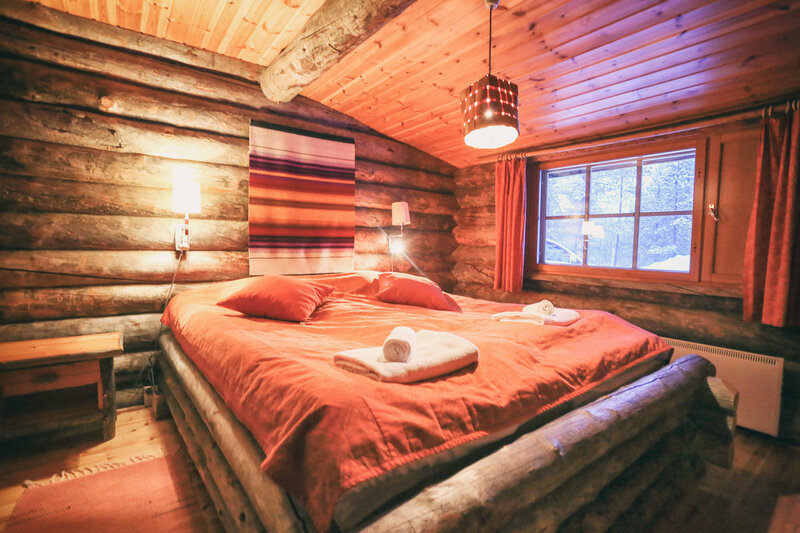 Just like our cabin, there is no internet, phone or tv, no cleaning service and you have to bring your own luggage here. They are much further away then the cabins so its a good 15-20 min walk dragging your luggages. For this reason one of the two best decisions that we made was renting a car and bringing our own internet modem. Especially since the main reason that people stay in the igloo is to watch the aurora. 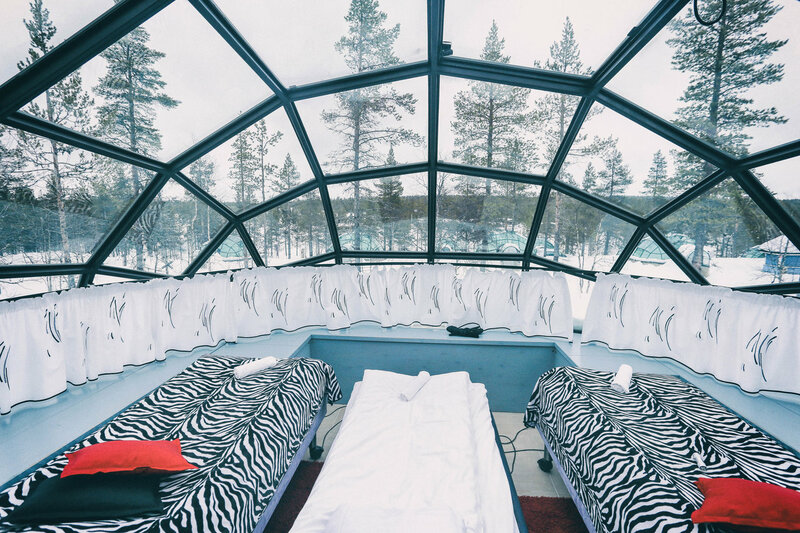 The igloo is very small and offers two small twin beds (they added a twin inflatable mattress for the little one), a tiny bathroom and a little corner for luggages… thats it. 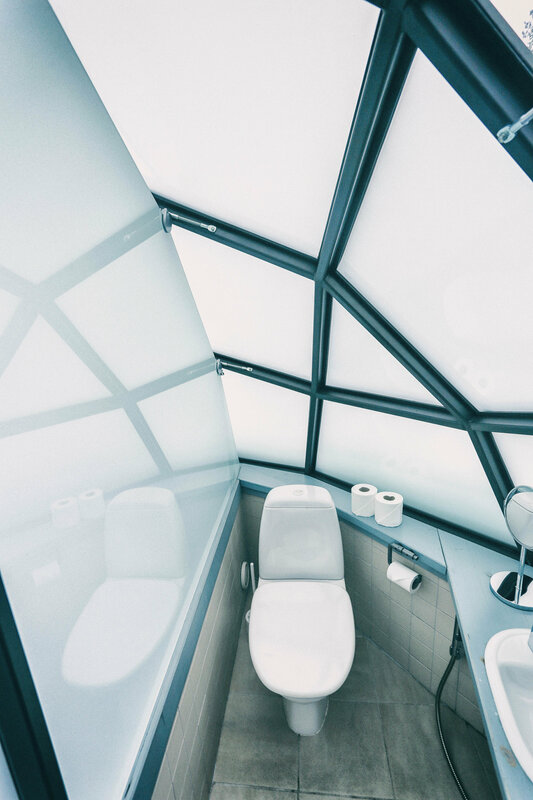 The bathrooms have no showers.The showers are located outside the igloos around a 5-8 minute walk away, so be prepared to commute from your igloo to the common showers and back and possibly freeze with your wet hair. The idea of watching Aurora from our igloo was the reason we stayed the night here but unfortunately we were not able to see any even though the sky was clear. Auroras are very sensitive to light, if there is a lot of light, called “competing light” you will not be able to see them, and unfortunately since the igloos are all next to each other you can see the lights from your neighbors when they are on. We knew that there was the possibility that we wouldn’t see the Northern Lights so this was not an issue. The difficult part for me was sleeping with so much light from your neighbors, and the outdoor lights. Breakfast and dinner is included in your nightly fee which is a huge bonus. The breakfast is simple and easy: eggs , ham and sausages, dried cereals and breads with jam. Good for mostly everyone except vegans. The dinner is simple; a three course menu with two options for entree: vegetarian and non vegetarian. As the food is pre made, they can not cater to any other dietary needs besides vegetarian and non vegetarian so as a strict vegan this was a huge challenge. Not willing to take more chances, we visited Laanilan Kievari restaurant less than 10 minutes away from the hotel. We had a beautifully prepared 3 course vegan menu which consisted of Matsutake mushroom soup (the most expensive mushroom in the world! ), sweet potato and black beluga lentil entree and a delicious yet healthy berry dessert. All homemade and exquisite, and by far one of the best meals we had in Finland. Dog sledging was super fun, and our little one absolutely loved it. The best part is getting to pass through the trees all covered in snow, watching the dogs have tons of fun, and at the same time admiring the beautiful sunset. The huskies all looked healthy and well taken care of, and I didn’t see any dog that seemed sick or mistreated. We were mentally prepared not to see any Northern lights and kept our expectations down, all while deep down eagerly praying to see them. In the hotel, there is a lot of “competing light” which basically means there is a lot of light in your surroundings so unless the Aurora levels are strong, its better to go search for them in a more secluded area. 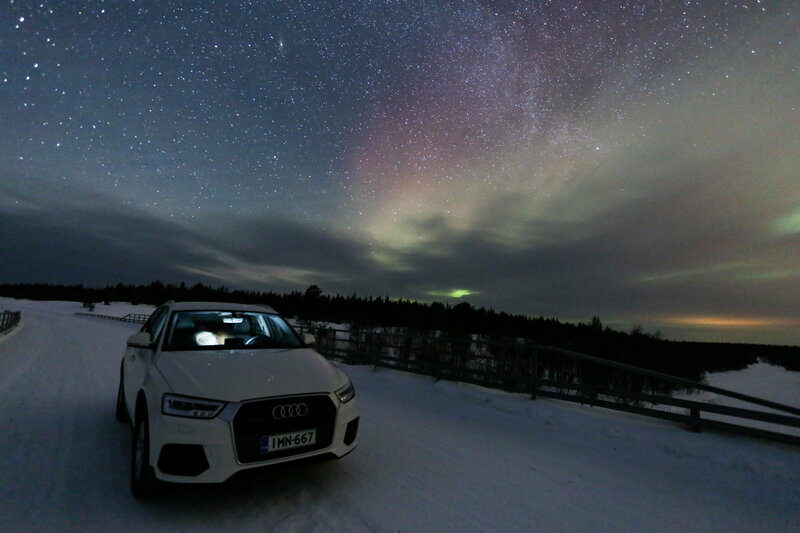 If you don’t have a car, you would have to book an Aurora Hunting tour which comes at a hefty price tag per person. 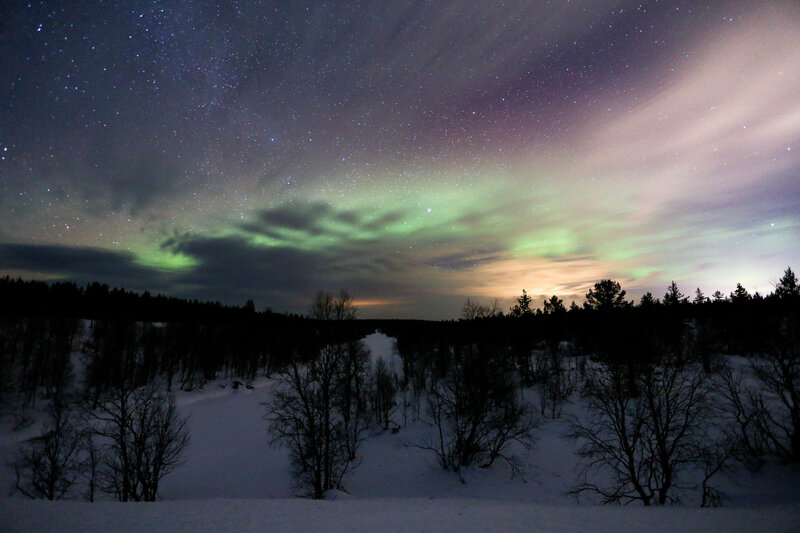 Since we had our own ride, we asked many locals for advice, drove to a secluded location only 10 min away from the hotel and not only witnessed the beautiful Aurora lights but also got to admire the incredible and pure virgin Finnish sky. This spot, for both my husband and I, has become one of our favorite spots in the world not only because of the Aurora but also because we have never seen a sky with that amount of stars before! As you can see, staying in Kakslauttanen is without a doubt a very unique and beautiful experience that comes with a few disadvantages. If you really want to make the journey there, I believe the key for success is to be well informed and prepared prior to your trip. This can drastically improve your experience there. Like us, take your own modem wifi, rent a car if possible, load up some snacks and groceries, go aurora hunting on your own. 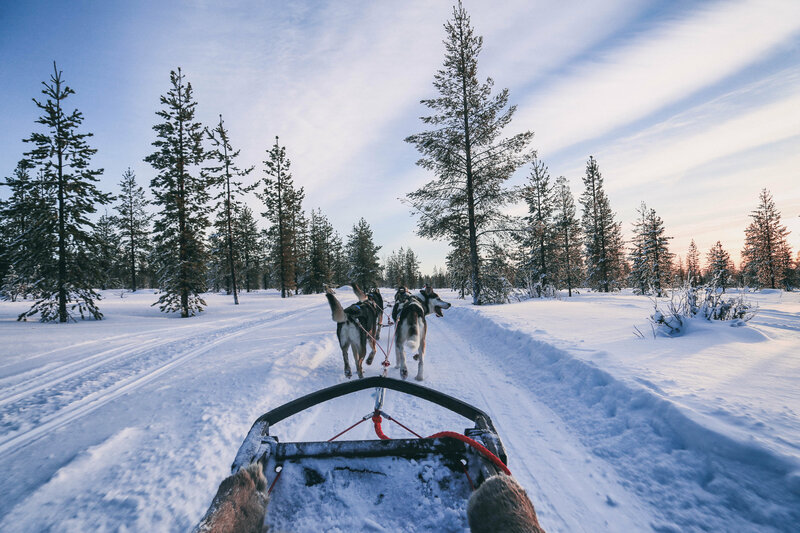 If you have to choose one activity then choose dog sledging, one night in the igloo is more than enough. 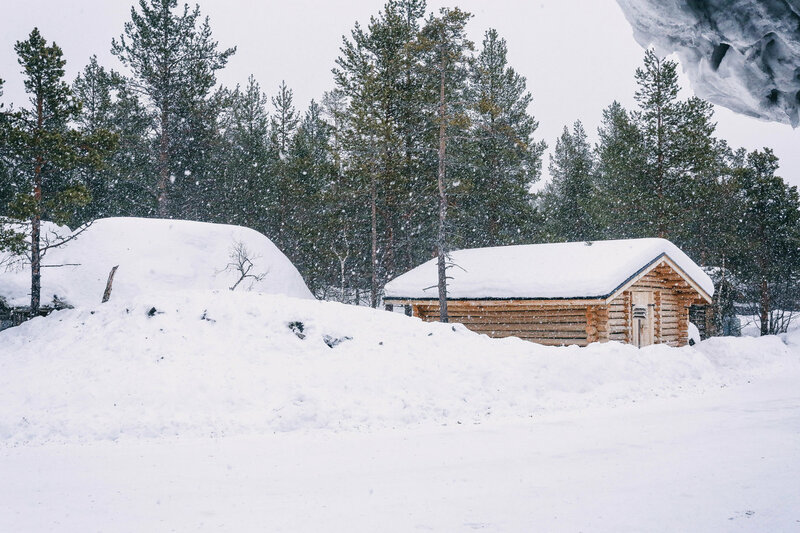 And if you have time, do what we regretted, and spend a few nights at Kakslauttanen and then continue at a more budget friendly property to continue exploring the Finnish Lapland.